Love capturing photos of others discreetly? 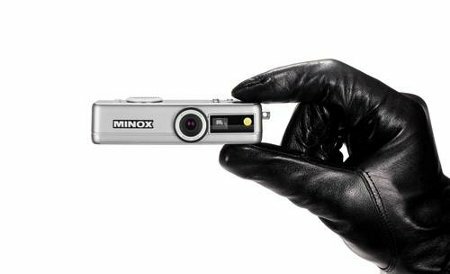 Then why not do it with the MINOX Digital Spy Cam DSC Silver, which is the next generation of spy cameras that has taken on a digital slant. Coming in a silver metal finish, you get a 1.5″ display to preview shots that you have taken, while storing images on a microSD memory card slot (up to 16GB worth). Capable of shooting 5.1-megapixel photos, this spy camera is also equipped with an external flash module when the situation calls for it. Not only that, it also lets you capture images of important and sensitive documents from as near as 19.5″, and as you can see above, it is small enough without calling attention to it whenever you call it into action. This could be your starting point of a new gossip blog, eh? Nifty little gadget. Could come in handy, for sure! Didn’t see a price posted.